The Blot Says...: Moe Hawk GID Edition Vinyl Figure by KRK Ryden x 3DRetro - A Life Is Beautiful Exclusive! Moe Hawk GID Edition Vinyl Figure by KRK Ryden x 3DRetro - A Life Is Beautiful Exclusive! 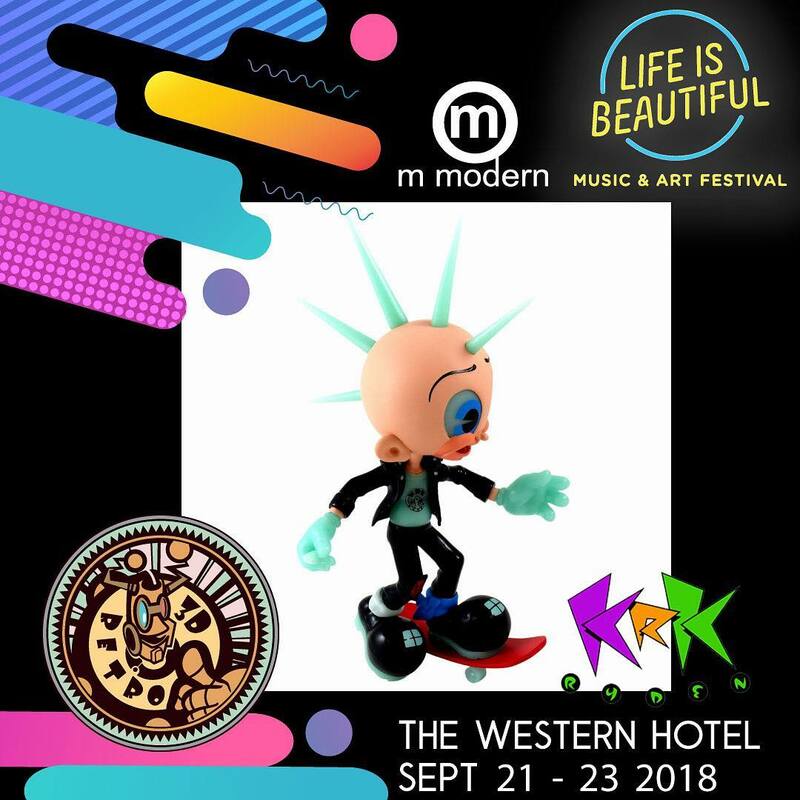 This weekend at the Life Is Beautiful music and art festival (Sept 21-23), 3DRetro will be releasing this con exclusive Glow in the Dark Moe Hawk vinyl figure by artist KRK Ryden! This exciting new colorway is limited to just 100 pieces, and can be purchased at the 3DRetro Life Is Beautiful booth located inside the Western Hotel in Las Vegas, Nevada for $60.